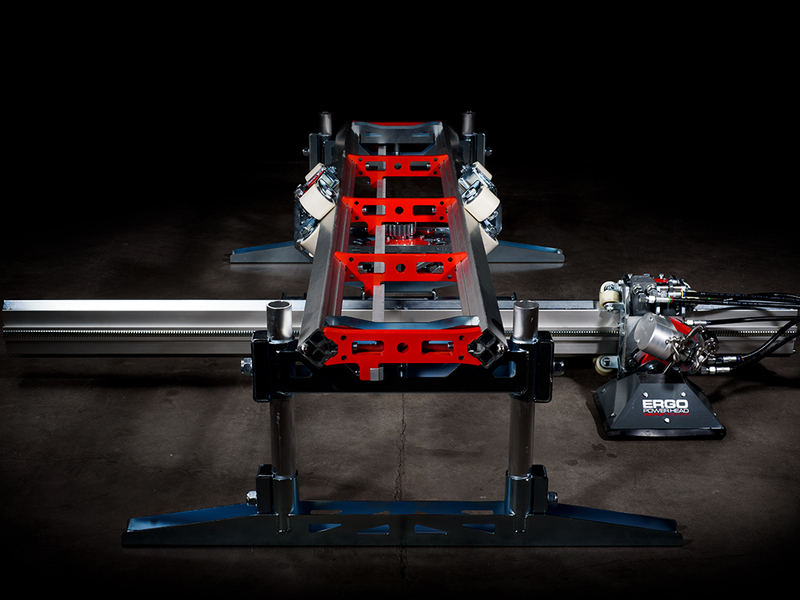 The new Ergo Spine’s weight is reduced to half of the predecessor and a 2m rail weighs just 20 kg. But don’t let the weight fool you, it still handles the same reaction force as the steel rail. The roller beam and power head are the same as for Ergo climber, and by adding different brackets and supports, every possible situation can be solved. All parts can be carried by one person and all connection points are with a singe bolt. We use the same bolt size for connections between spine parts and all intersection points are marked with red. 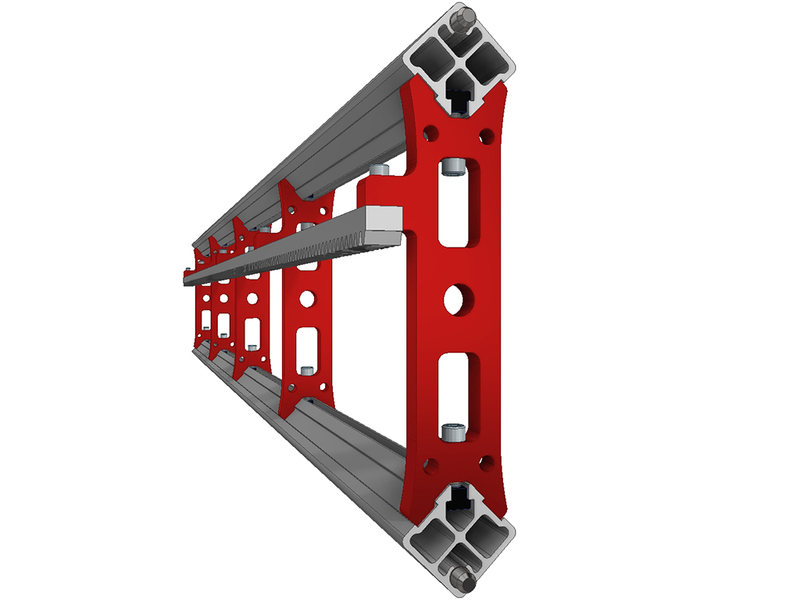 Spine weight is now reduced to half and a 2m rail weighs just 20kg, but it still handles the same reaction force as a steel rail. It can be equipped with robot power head to handle high reaction forces.